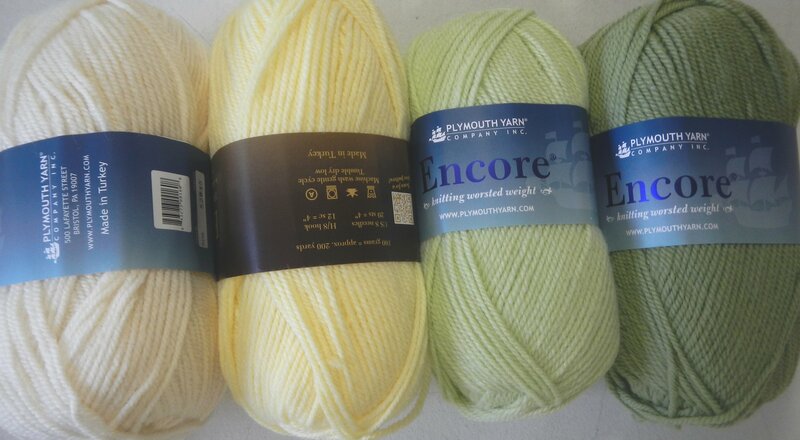 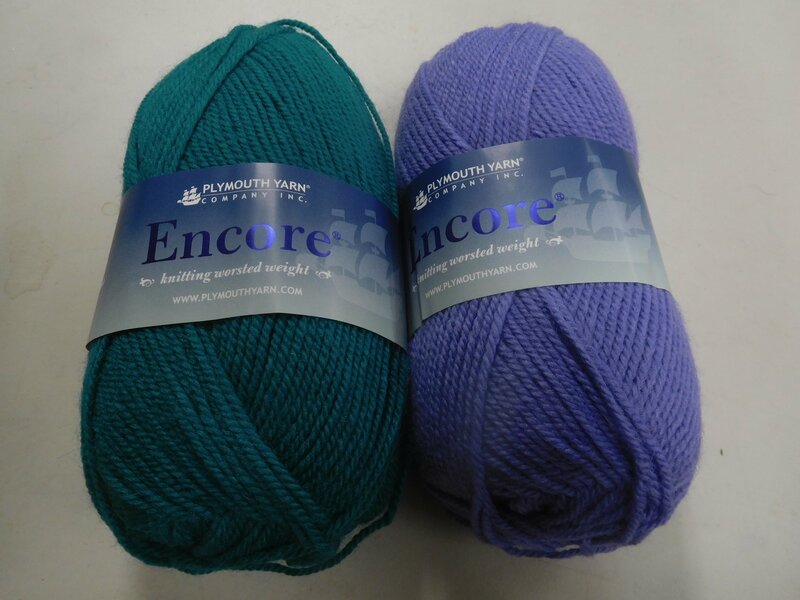 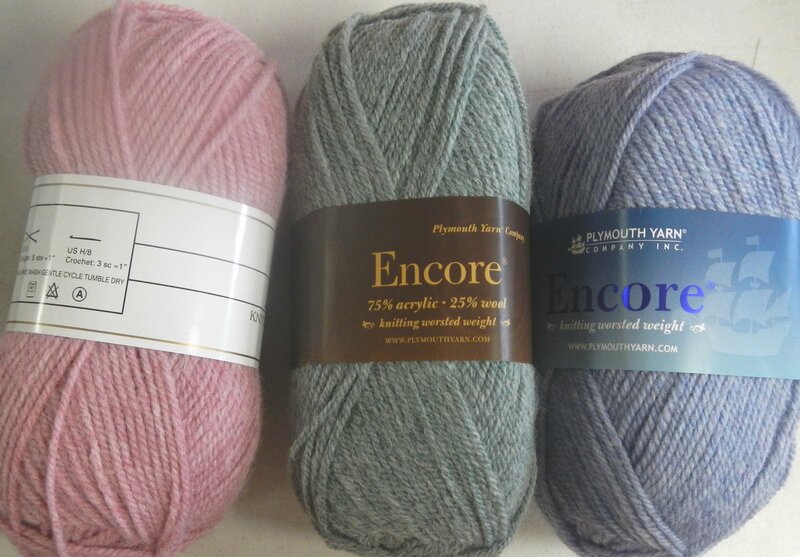 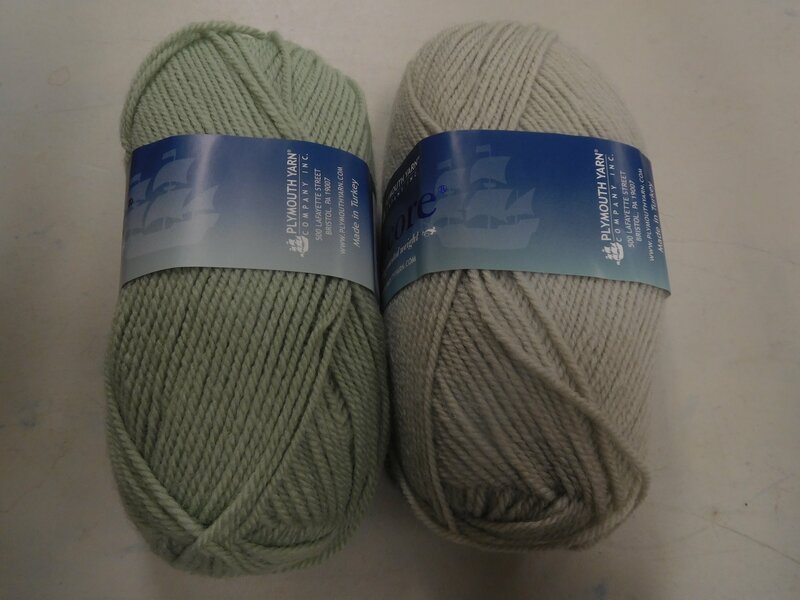 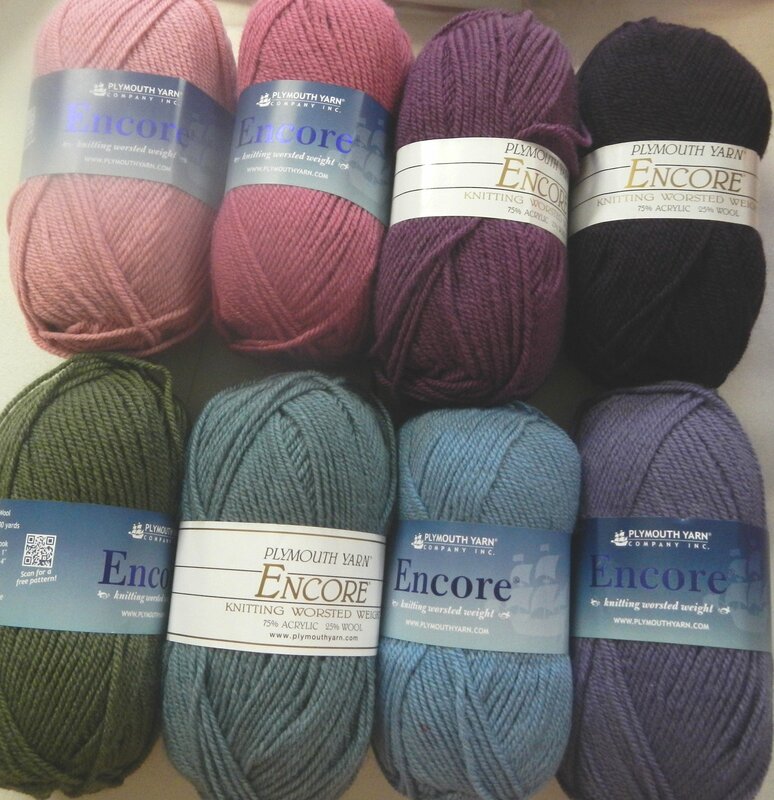 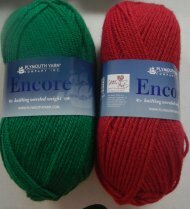 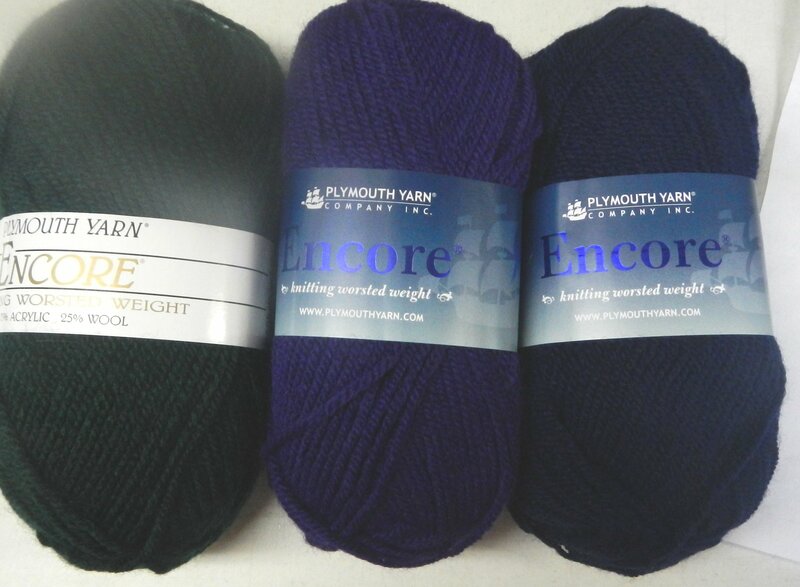 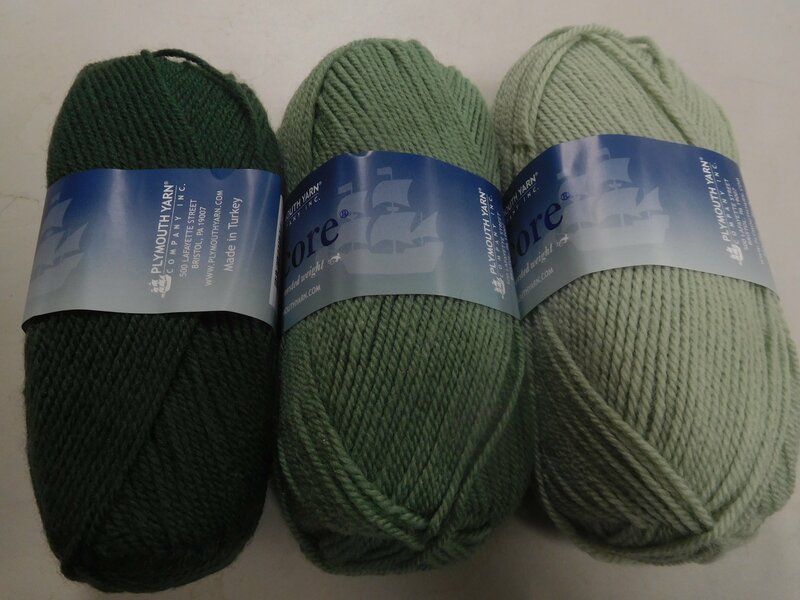 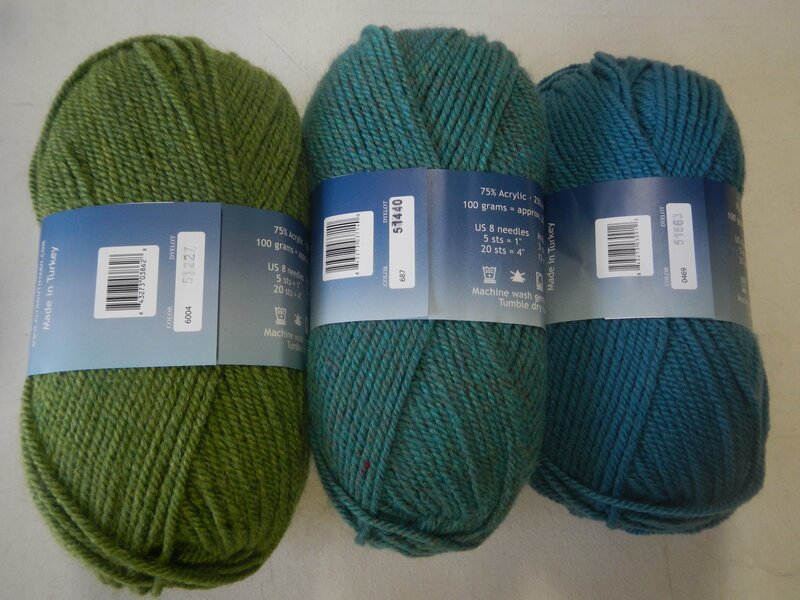 One of the store's most popular value yarns for knitting kids sweaters and afghans, Encore is 75% acrylic and 25% wool and knits at 5 sts/in on US 8 or 9. 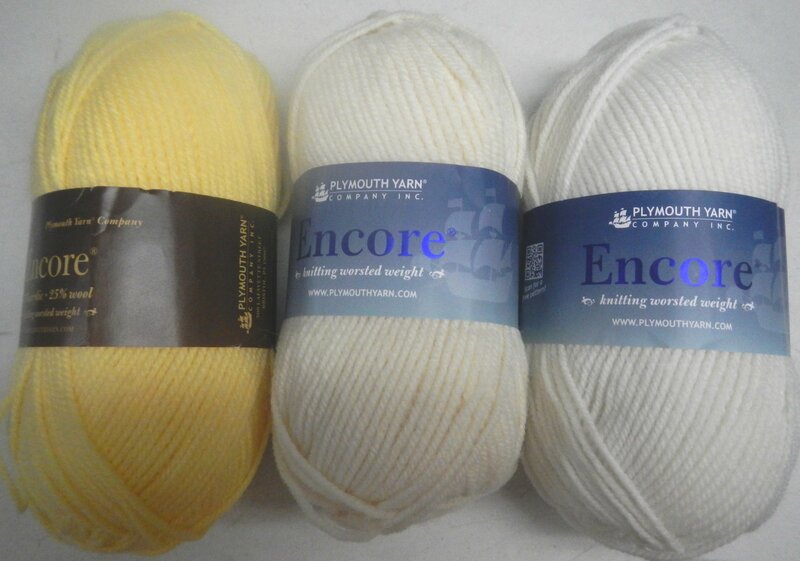 It is machine washable & a good value. 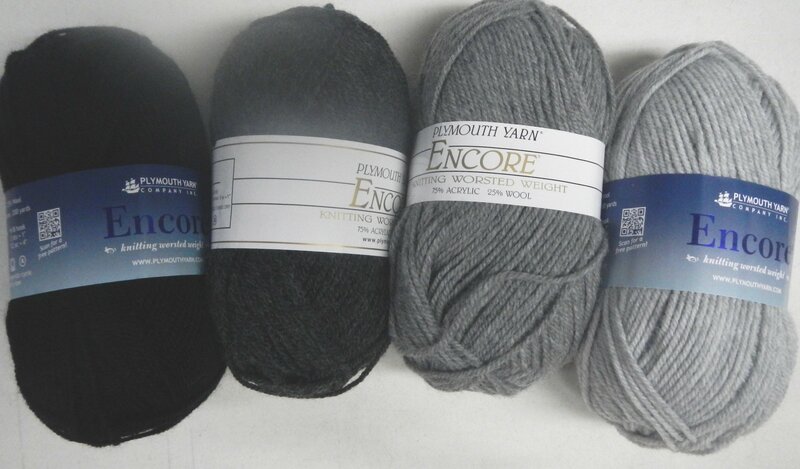 Each ball has 200 yds. 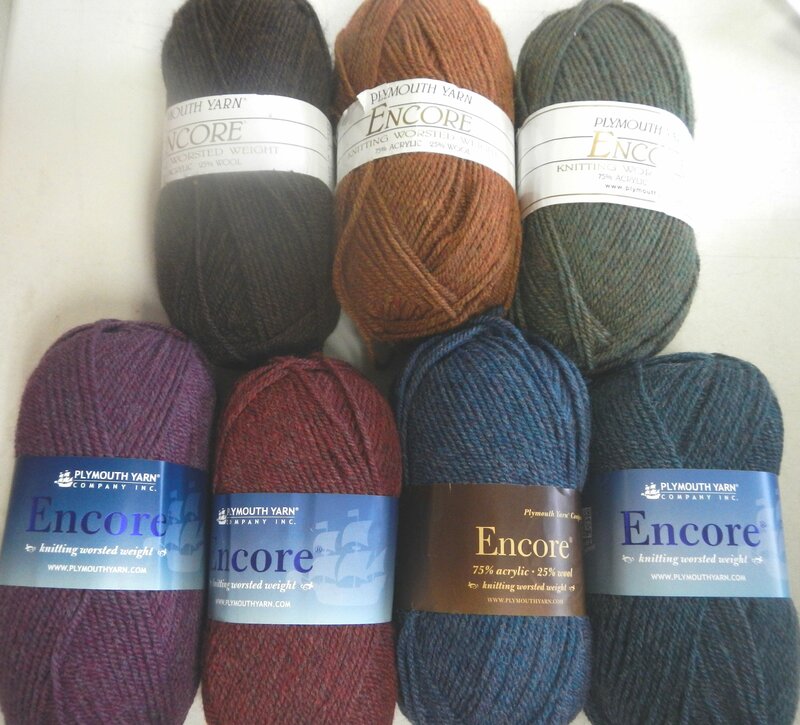 Also available as a Tweed in this same gauge as well as in a 2 st/inch version, Encore Mega. 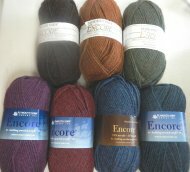 And you'll find the Colorspun version here as well. 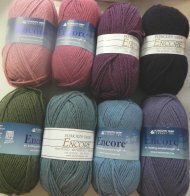 And if you're looking for a "gradient" in a blend like Encore - and that would work with Encore, check out the "new for fall 2017" Katia Paint Cakes! 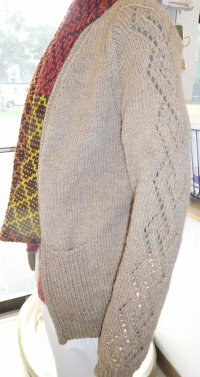 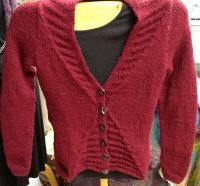 I have patterns for both cardigans shown below and knit using Encore. 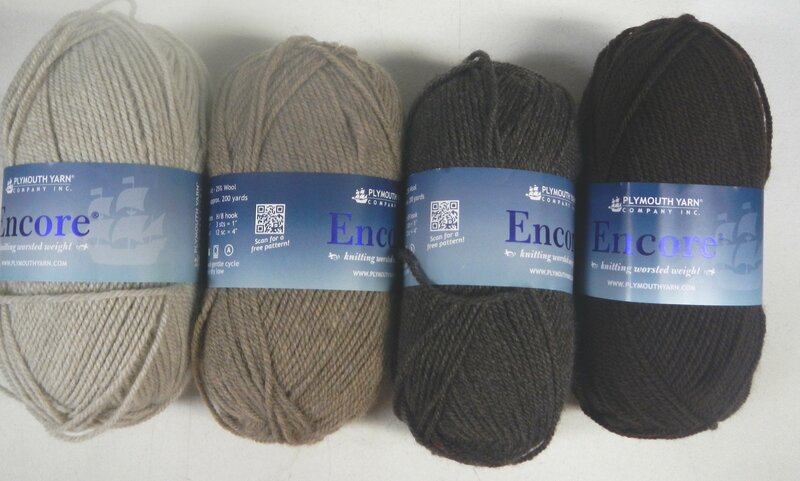 these colors are all sort of "dusky"